Many of the explorers who followed Columbus were more interested in finding an easy route to Asia than they were in exploring and settling this continent. In 1634 Jean Nicolet, emissary of Gov. 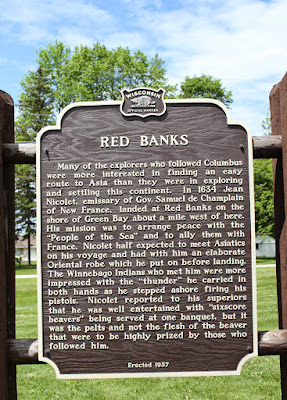 Samuel de Champlain of New France, landed at Red Banks on the shore of Green Bay about a mile west of here. His mission was to arrange peace with the "People of the Sea" and to ally them with France. 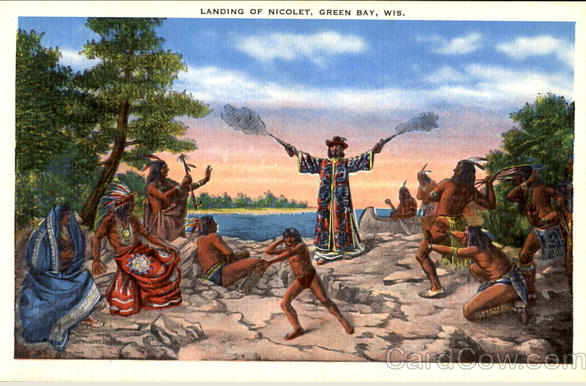 Nicolet half expected to meet Asiatics on his voyage and had with him an elaborate Oriental robe which he put on before landing. The Winnebago Indians who met him were more impressed with the "thunder" he carried in both hands as he stepped ashore firing his pistols. Nicolet reported to his superiors that he was well entertained with "sixscore beavers" being served at one banquet, but it was the pelts and not the flesh of the beaver that were to be highly prized by those who followed him. 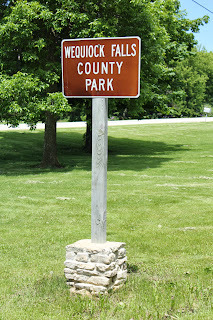 The marker is located at Wequiock Falls County Park, Green Bay, Wisconsin 54311. There is an entrance to the park and parking lot off Van Laanen Road, just east of its intersection with Bay Settlement Road. After parking in the parking lot, follow the trail to the picnic area. The marker is in the center of the park, next to a statue of Jean Nicolet. NOTE: The marker and statue are not visible from the parking lot. 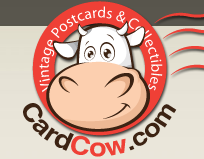 NOTE: The marker and statue are located several hundred yards from the parking lot, in a grassy, uneven field. 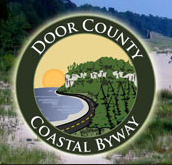 See also, WRL-11: 1634 · 1909 (Nicolet Landing), at a nearby location. 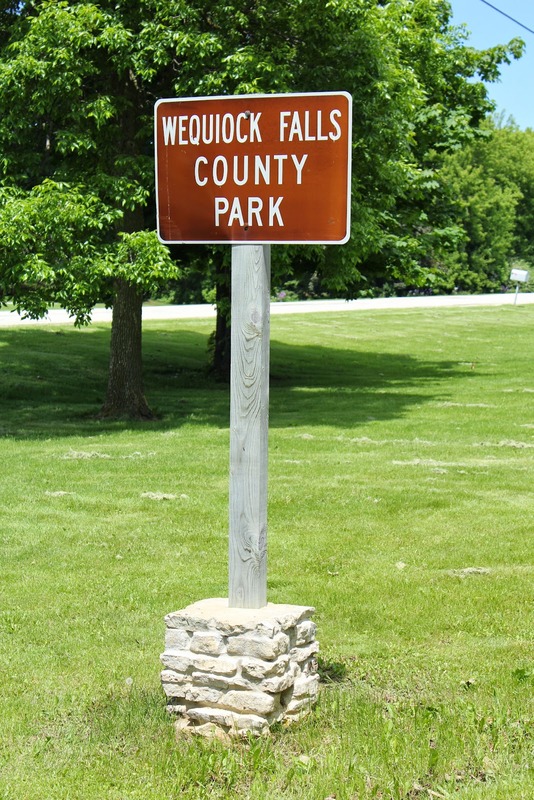 The marker is on the grounds of Wequiock Falls County Park.